I will skip any introduction and just get straight to the point: I can install Forge for Minecraft, but when I run it in the MC launcher it crashes, stating it ended with a bad state (exit code 1). This same thing occurred when I used Manjaro as well. I was unable to find anything online about this problem, so I am coming to the community forums to potentially receive assistance. When I try to install the universal version it says I am missing a few things, while the general-use installer does the install seemingly perfectly fine up until the part where MC crashes. I can run MC fine otherwise, but I would really like to play with Optifine and maybe a few mods. I haven’t played MC in at least two years, so I’d like to get it “moddable” again (I used Windows then). I would really appreciate any answers I could get! Also, if somebody provides answers and gives me commands to plug in, please explain what they do and how they do it if you know; I really want to learn as I go along. Thank you! 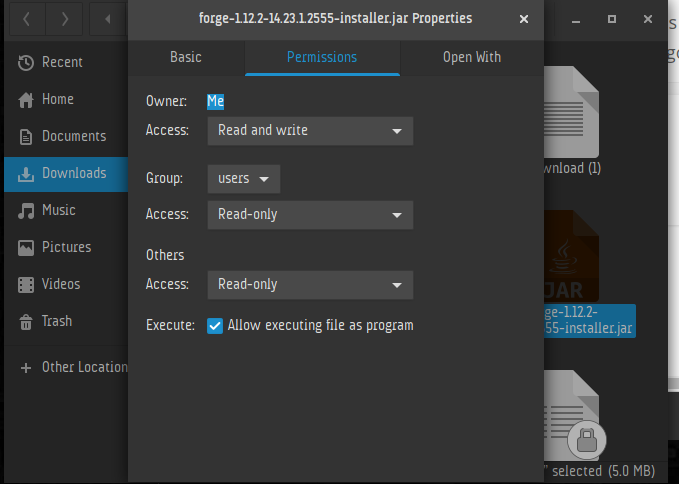 Next open downloads folder and change permissions on downloaded file to allow executing the file as a program. Show the installer your .minecraft folder and select client. 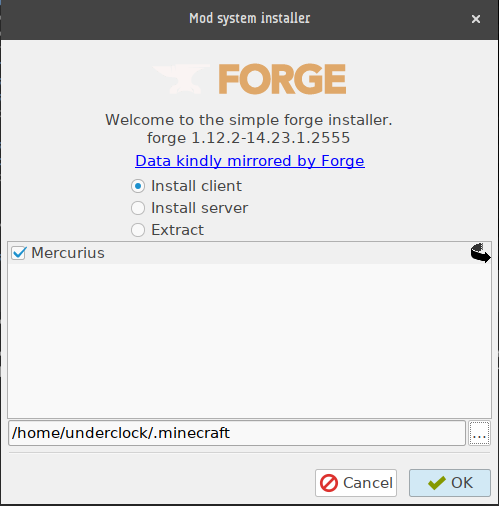 Run Minecraft Launcher and select forge. upload launcher log to https://pastebin.com/ and link back here if you still have issues. I was eventually able to figure it out and it now seems to work fine. Thank you a whole bunch for your help, Underclock! I really appreciate it. @Aervec No problem. You can change the forum thread to solved if you’re satisfied. @underclock Hey, I’m not OP but I could use some help too. When I do this, every terminal session I close after following the steps exactly say it’s still running and that closing it kills it, and I continue still not being able to launch forge.